Facebook, Inc. Common Stock (NASDAQ:FB) Chief Executive Officer Mark Zuckerberg is expected to have meetings U.S. lawmakers on Monday. This will come just a day before he appears at the Congressional hearings on a scandal involving the use of customer data by a consultancy firm. The meetings, which are expected to take place at Capitol Hill will continue up to Monday afternoon and will some lawmakers drawn from committees before which Zuckerberg is expected to testify. Facebook is yet to comment on the rumored meetings. On Tuesday, the Facebook CEO is expected to testify before a joint U.S. Senate Judiciary and Commerce committees as well as the U.S. House Energy and Commerce Committee on Wednesday. The social media company has been the subject of recent criticism following revelations that it inappropriately shared personal information belonging to 87 million users, a majority of whom are US citizens with Cambridge Analytica, a political consultancy company. According to a Facebook spokesman, the company intends to start notifying the affected people on Monday. Cambridge Analytica, which is based in London, and which was used during U.S. President Donald Trump’s 2016 campaign has dismissed the number of affected users given by Facebook. 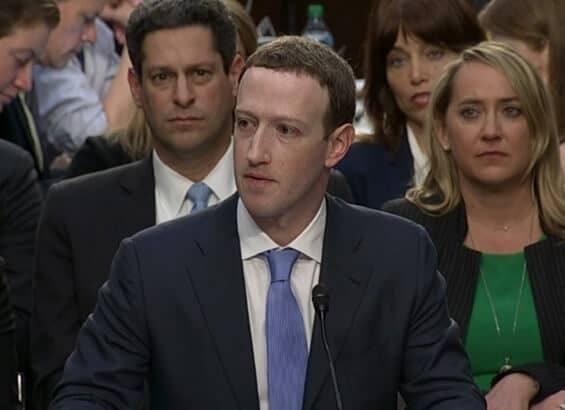 In his testimony, Zuckerberg is expected to recognize the need for Facebook to take responsibility for the breach as well as acknowledge initial failure to establish the number of people affected. In a conference call with reporters, Zuckerberg said that he accepts blame for the leak, which has caused a lot of outcry among advertisers, users and lawmakers. He still maintained that he is the right person to run the company which he started. Last week, the company announced that it supports the proposed legislation which requires social media platforms to disclose the identities of sponsors of political campaign ads. The company went ahead to introduce a new way of verification for people sponsoring such ads. According to Zuckerberg, these steps are designed to tame meddling into elections as well as online information warfare, which the US authorities have accused. Russia has however denied these allegations. Early this year, 13 Russians and three Russian companies were charged by U.S. Special Counsel Robert Mueller for interfering with the US presidential elections.